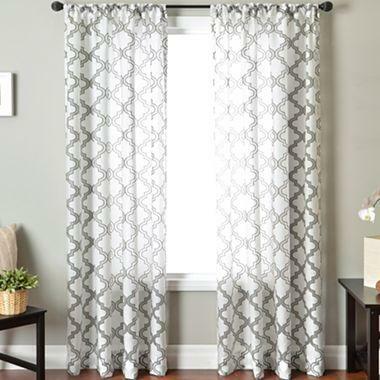 Well I did a little on-line shopping over the week-end and found several patterned curtain panels I've had my eye on for our home office. I recently removed brown curtains in our dining room and replaced them with Pottery Barn silk cream panels. it's a change I am loving! So I've been craving a lighter look with added pattern and texture. I just used these panels above for a client and they are fabulous! 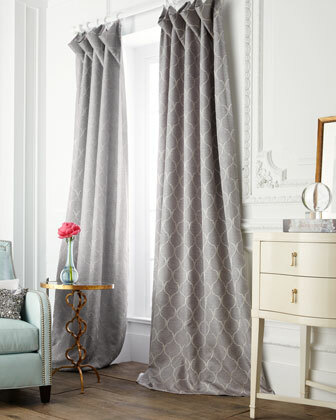 If your room needs a light sheer panel with added texture, then this curtain is for you. 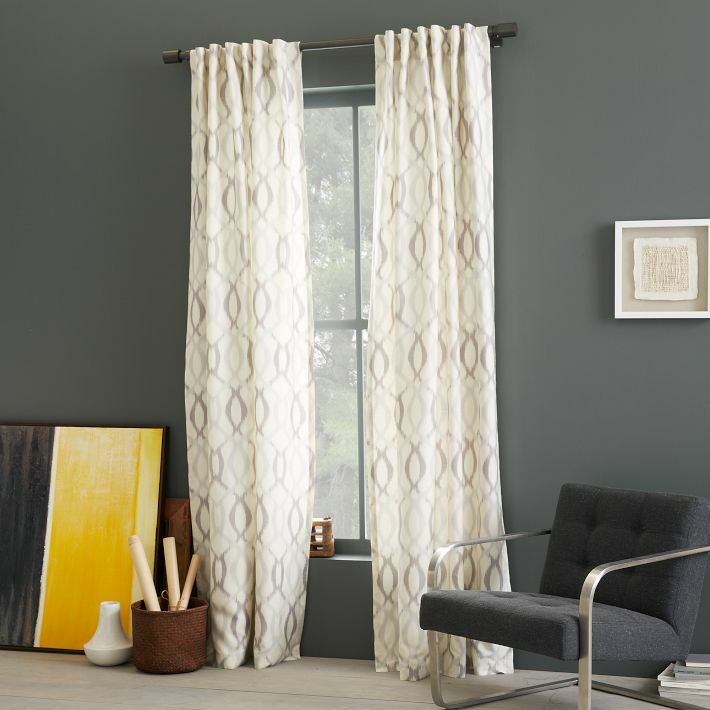 I love these Ikat patterned ones above from West Elm. Ahhh, now here's a pretty pattern that I love and that isn't too modern for our traditional brick colonial! The soft blue would work well against our warm SW Believable Buff walls. Also the sheer fabric will keep things light and airy. I have to say that I am in LOVE with these striped panels! Aren't they simply beautiful in this modern space? I really love the subtle pattern in these panels. The pattern is there, but it doesn't jump out at you. These would be my choice if they weren't $350 a panel, lol!! Okay so that's my round up of patterned curtain panels. There are so many choices available today in all price ranges. And one more thing to think about is trend. Do you think the trellis and quatrefoil patterned panels are a trend or here to stay? Love the JC penney and the Crate & Barrel the most! Yes, have to say JC Penney has a great selection of curtain panels! These are some great choices! I love patterned curtains! Me too, love the texture they provide to a space! I have had my striped curtains for years now and I'm still not sick of the look. I love your striped curtains Julia, can I ask where you got them? I like the trellis and quatrefoil, those trends have staying power….they've been going strong for a good 5 years! Those striped curtains though - wowza. They are such a great bold statement in a room, love them! I agree, those striped teal panels are stunning! And they look so good in that industrial space shown in the photo! All of those are great options! I love those JC Penney panels and I'd get those for our guest bedroom if they weren't sheer. I love the the last one from Neiman Makcus. I have been searching for some curtains just like those. I love your choices. Geometrics are the best pattern to work with - give a little punch to the room without being too busy! 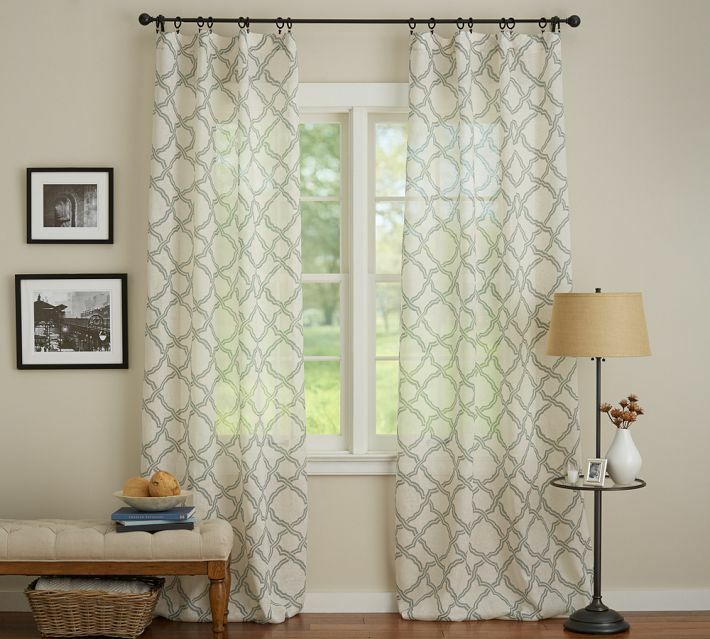 I agree, these simple patterns are perfect for adding texture and interest to any room!